I’m a little disappointed with myself for going over a month without a post, but between the holidays and travel, I haven’t had a lot of free time on my hands lately, but I’m finally back at the keyboard to put together my customary “reading roundup” from the previous year. I like to do this each January as a way to look back at the previous year and reflect I what I read. In 2015, I set a number of reading goals for myself so let’s take a look and see if I achieved any of them. Goal 1: Read 30 books – Achieved! In 2015, I read 31 books. Goal 2: Catch up on ongoing series – Achieved! Not too long ago, I realized that I was starting a lot more series than I was finishing and I decided that I needed to catch up or close out a few of them or I would go crazy. 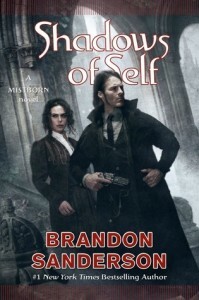 In 2015, I caught up on The Dresden Files, The Expanse, The Iron Druid Chronicles, Chronicle of the Unhewn Throne, Reckoners, and the new Mistborn series. I also finished The Powder Mage trilogy, The Magician’s trilogy, and the original six Elric novels. I think I did pretty well here. So so many SFF series are being adapted right now and I always prefer to read the book first so I really wanted to finish some series that were coming to the small or big screen soon. In that vain, I read The Expanse, The Magicians, and Foundation, but there are many other works that I had intended to read (like The Man in the High Castle and Childhood’s End) that I didn’t get to. Over the last couple years, I’ve become a lot more aware of the lack of diversity among the authors that I’ve been reading and I’ve hoped to improve on that. Unfortunately, I’ve struggled with this goal. In 2015, I read only two novels by women and the vast majority were written by white men. I don’t think there’s anything wrong with reading novels by white men, but I believe that there are a lot of benefits to reading works by a more diverse group and I also wish to support the larger SFF community. Hopefully, I’ll do better next year. About halfway through the year, I decided that I wanted to shift my focus to reading Hugo eligible novels so I can nominate and vote (with some degree of confidence) in 2016. By the end of 2015, I read seven such novels and I think that’s pretty good. Hopefully, I’ll read a few more before nominations open. So that concludes Part I of the 2015 Reading Roundup. In Part II, I’ll take a more in depth look at my favorite reads of the year. Lately, I’ve been catching up on Michael Moorcock’s Elric saga. I’m currently reading, Stormbringer, which I think was originally planned as the sixth and final Elric novel, but, according to Goodreads, nine novels were published in the end. I only own the first six so I’m definitely stopping after Stormbringer for now and I honestly don’t know if I’ll read the other three at some point or not…there’s just so much to read. Good luck to all National Novel Writing Month participants as we come into the home stretch! I didn’t participate this year, but I’ve got four unfinished novels that I can credit (or perhaps blame) to previous NaNoWriMo attempts. Despite never “winning,” I still really enjoyed the experience and would recommend it to anyone who is thinking about writing and just needs a good excuse to start. It’s late November so that means it’s Worldbuilders season. In a nutshell, Worldbuilders is an amazing charity started by fantasy author, Patrick Rothfuss, that benefits Heifer International. There are bunch of different ways to donate, but I usually just enter the Lottery, which means that I have a chance to win cool prizes just for donating. I read this novel at the recommendation of my wife. She grew up in Ukraine and it’s quite possibly her favorite novel. I marked it as “fantasy” on my Goodreads shelf, and it is, but it’s also a satire and a literary novel. 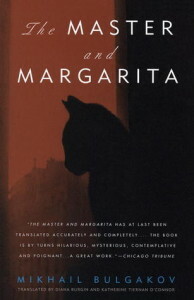 Mikhail Bulgakov wrote The Master and Magarita, what many would consider to be his masterwork, over the course of more than a decade, starting in 1928 until his untimely death in 1940. It was written in Soviet Moscow during a time when any criticism of the government, even in the form of satire, was nearly akin to treason. It was for that reason that the novel wasn’t published until 1966. The Master and Margarita tells the story of the devil and his three cohorts and their mischievous exploits when they swing by Moscow for an unexpected visit. Needless to say, the group causes all manner of havoc, sending the city into a near panic and resulting in some of the most absurd explanations and justifications by the anti-religious regime. The undercurrent of the novel is the love affair between The Master, the writer of a brilliant but misunderstood novel about Pontius Pilate, and Margarita, a discontent housewife. But the real star of the novel is Behemoth, the gargantuan black cat and companion of the devil. He is a scene-stealing character, constantly performing amusing acts or making jokes. 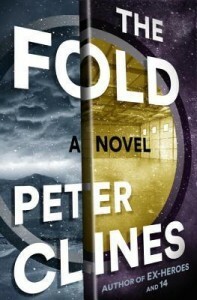 He brings a levity to a novel that might otherwise be considered too cynical. Overall, I really enjoyed the novel. 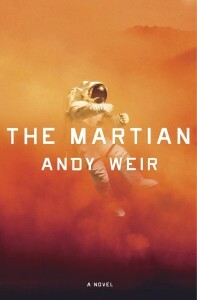 It was definitely a departure from the epic fantasies and space operas that I so frequently read, but a welcome one. It says so much about Soviet Russia and, yet, it can still be enjoyed solely upon the merits of its surreal and incredible story. 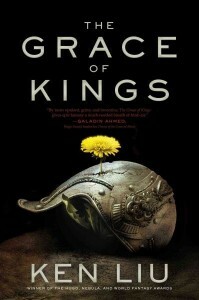 Books published in the United States in English, including works in translation and other significant rereleases, between November 16, 2014, and November 15, 2015, are eligible for the 2015 Goodreads Choice Awards. Huh. So a book published in 2014 can be one of the “Best Books of 2015?” Guess so. But that’s not the strangest part. It’s not November 15, 2015 yet, but voting has already begun. So apparently that means a book that won’t be published until next week is only eligible for the 2015 award, even though voting has already begun. I wonder if any of the official nominees haven’t been published yet. And if not, how did they become an official nominee? So how are the official nominees selected to begin with? We analyze statistics from the millions of books added, rated, and reviewed on Goodreads to nominate 15 books in each category. Opening round official nominees must have an average rating of 3.50 or higher. Write-in votes may be cast for eligible books with any average rating, and write-in votes will be weighted by the book’s Goodreads statistics to determine the top five books to be added as official nominees in the Semifinal Round. A book may be nominated in no more than one genre category, but can also be nominated in the Goodreads Author category. Only one book in a series may be nominated per category. An author may receive multiple nominations within a single category if he or she has more than one eligible series or more than one eligible stand-alone book. My understanding is that Goodreads creates a list of “top books” for each category based on some statistical formula and then essentially selects the nominees by hand, though the selection process is left pretty vague overall. They also have a write-in option that you can use if your favorite work isn’t an official nominee. And then the next round will factor the top five in each category into the voting. At this point, I’m done trying to figure out the rules. They are confusing and unclear. But that doesn’t mean you shouldn’t vote! Go vote or nominate a write-in if Goodreads missed a book you love! 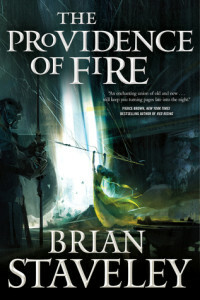 So the other day, I finished up Providence of Fire, the second novel in Brian Staveley’s Chronicle of the Unhewn Throne. I listened to the audiobook, narrated by the wonderful Simon Vance. To put it simply, it was pretty good. Not my favorite, but pretty good. I like the world that Staveley has created. It has a lot of traditional fantasy elements, but sometimes that familiarity is nice when it’s done well. Staveley also writes some very good fight scenes and a fast-paced narrative, which I greatly appreciate. I’m not as fond of Staveley’s characters however. All three point of view characters (Valyn, Kaden, and Adare) experience some pretty serious lapses in judgment and I struggled to understand their motivations at times. I don’t really feel like giving a full review at the moment, but I will say that I enjoyed the first two novels enough to read the third in the series, which I believe will be the conclusion. Although I found the novel to enjoyable overall, I don’t think it will make my Hugo nomination ballot.